Since September this year, panchayats of Maharashtra's Nagpur region have complained that even large quantities of pesticides have had no effect on the brown aphid (delfocidas) pest rampant among their paddy fields. Their experience is shared by farmers the world over. Pests, weeds and diseases are increasingly developing genetic resistance to pesticides. 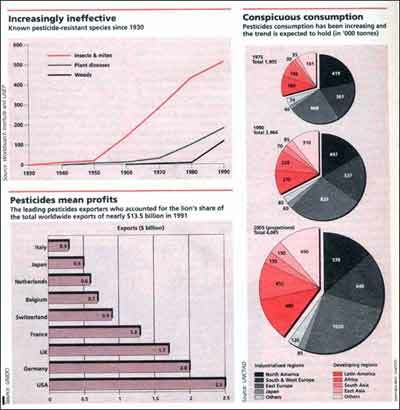 Nonetheless, the large scale use of pesticides continues and is projected to leap frog in the near future. Developing countries, in particular, are expected to more than double their use of pesticides in frantic efforts to increase agricultural production.